When Lee Kuan Yew wanted Singapore to become a garden city, to soften the harshness of life in one of the world's most densely populated countries, he did not write a memorandum to the environment minister or to the head of the agency responsible for parks and trees. He did not form a committee nor seek outside help to hire the best landscapists money could buy. For one thing, in the 1960s, when he was thinking of these matters, money was in short supply. In fact, having been unceremoniously booted out of Malaysia, the country's economic survival was hanging in the balance. For another, there was no environment minister to speak of then, so low down in the list of priorities were these matters. When jobs had to be created and communists fought in the streets, only the birds were interested in flowers and trees. But Lee was interested. And he became personally involved in the project of transforming Singapore from just concrete and steel to concrete, steel, trees, shrubs, flowers and parks. He would become personally knowledgeable about soil and vegetation, trees and drainage, climate and fertilisers. And he surveyed the world for ideas, taking advantage of his travels abroad to look out for them. In France, for example, he discovered that the broad tree-lined boulevards were possible because a drainage system had been built below the pavements. Around each tree was a metal grating through which surface water flowed into the underground system. The problem of the grass in Singapore, which everyone could see in the bald, yellow football fields, needed a nationwide solution. When he saw beautiful rolling meadows in New Zealand he was moved to ask for the services of two experts from the country under the Colombo Plan technical assistance scheme. Lee was told that Singapore did not have a grassland climate in which rain fell gently from the skies. Instead, being part of an equatorial region, it experienced torrential rainfall that would wash off the topsoil and with it the vital nutrients necessary for strong plant growth. In an equatorial forest, with tall big trees forming a canopy, the rain water drips down. But in Singapore, where the trees had been chopped down, it would all come down in a big wash. But Lee was not one to let climate get in the way. Fertilisers would replenish the soil, and so began the task of making compost from rubbish dumps, adding calcium, and lime where the ground was too acidic. 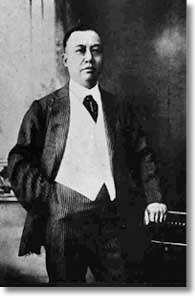 Years later, when economic survival was no longer an issue and Singapore's success was acknowledged worldwide, he was still working at it to make the garden city possible. When expressways and flyovers sprouted all over the island, he had officials look for plants which could survive below the flyovers where the sun seldom shone. And instead of having to water these plants regularly, which was costly, he got them to devise a way to channel water from the roads, after filtering it to get rid of the oil and grime from the traffic above. The constant search for solutions would not end. When development intensifed even further and the roads and flyovers became broader still, shutting out the light completely from the plants below, he did not give up. The road was split into two so there would be a gap in the middle with enough space for sunshine and rain to seep through and greenery and vegetation to thrive below. "I sent them on missions all along the Equator and the tropical, subtropical zones, looking for new types of trees, plants, creepers and so on. From Africa, the Caribbean, Latin, Middle, Central America, we've come back with new plants. It's a very small sum. But if you get the place greened up, if you get all those creepers up, you take away the heat, you'll have a different city," he said. Making Singapore a different city! That has been Lee's constant obsession. Even when the difference had to do with trees and flowers, subjects which one would not normally associate with the man who has been at Singapore's helm for 38 years, 31 of which he served as prime minister, his approach to the problem has been typically hardheaded and pragmatic. For him, the object of the exercise was not all about smelling roses. In the end it was about keeping Singapore ahead of the competition. A well kept garden, he would say, is a daily effort, and would demonstrate to outsiders the people's ability to organise and to be systematic. "The grass has got to be mown every other day, the trees have to be tended, the flowers in the gardens have to be looked after so they know this place gives attention to detail." 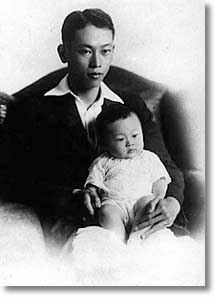 Lee Kuan Yew as a baby with his father, Lee Chin Koon. A capable woman - tremendously resourceful, possessing great energy and drive, said Lee of his mother, Chua Jim Neo. 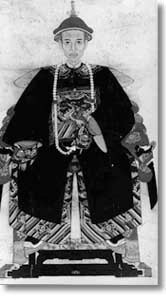 She was the one who effectively ran the household, managed the finances and even had businesses to keep the family going. "Without her, the family would have failed," Lee told the authors. Lee(standing centre) was the eldest child in his family. "I would not classify myself as wealthy, but we were not in want of food or clothes or other things in life," he said of his family. 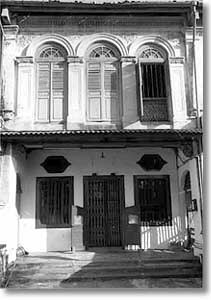 As a boy, Lee lived in his paternal grandfather's two storey terrace house at 147, Neil Road. Bought in 1920 for $25,000, the building stands restored today in the colourful and bustling business district of Tanjong Pagar, where Lee has served as a Member of Parliament since 1955. Lee's root can be traced to his great-grandfather Lee Bok Boon, who left Guangdong, China, at 16 to eke out a living in Singapore. This watercolour painting was commissioned after he returned, a much wealthier man, to his ancestral village in Taipu. A similar painting can be found at the manor house he built there. 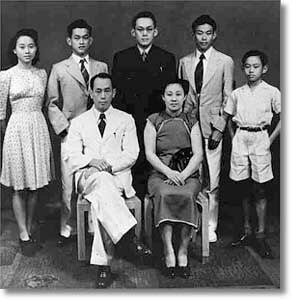 Lee's grandfather, Lee Hoon Leong, rose to riches but saw his fortunes decline with the Great Depression in the 1930s. He died during the Japanese Occupation. "My grandfather was very fond of me and I used to visit him and live with him on weekends and school holidays," Lee recalled in an interview with the authors. 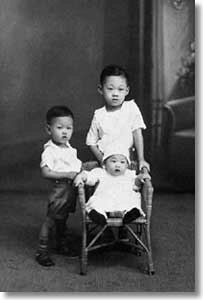 Lee with his younger brothers Kim Yew(Dennis) and Thiam Yew(Freddy), seated. As a boy, he caught fighting fish in the drains along Changi Road, flew kites and spun tops. "It was a more do-it-yourself, amuse-yourself childhood than what the children have now, where toys are just given to them to be amused." 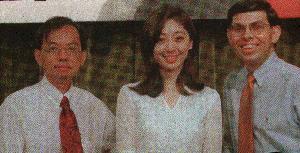 Lee met his wife, Kwa Geok Choo, at Raffles College. 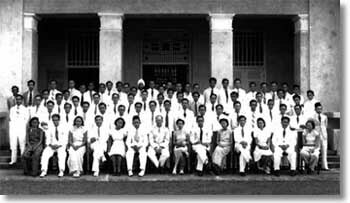 He is in the last row, sixth from the right, while his wife-to-be sits in the front row, third from the left. Thanks to a sympathetic censor of Fitzwilliam House, W.S. Thatcher, Lee got himself out of the London School of Economics and moved to Cambridge University. Kwa Geok Choo is on the right. 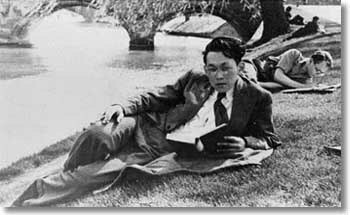 Student life at Cambridge became more pleasant and orderly as Lee settled in, going from lecture halls to the hostel to the dining hall on his bicycle. "Suddenly, life became more in proportion," he recalled later, of his move to Cambridge. The story of how Lee transformed Singapore is a fascinating one because no other leader in the modern world has had such a hand in influencing and directing his country's progress from independence to developed nation status the way he has. None has straddled the two worlds with as much success: the revolutionary world in the first half of this century for independence from empire, and the development world in the second half for wealth and progress. The great Asian revolutionaries - Mao Zedong, Pandit Nehru, Sukarno and Ho Chi Minh - earned their rightful place in history but failed to build on their revolutionary zeal. Lee's place is, of course, smaller. But he has been able to achieve what they could not, which was not only to destroy the old system but also to create a new and more successful one. That Singapore is a success today and the success is largely attributable to Lee, there can be few doubts, even among his most severe critics. What were those ideas of his which made the critical difference in Singapore? How did he come round to those views? How were they made to work in Singapore? This book has been written for those interested in the answers to these questions. It is a book about Lee Kuan Yew and his ideas and how those ideas have shaped modern Singapore and made it what it is today. For the story of Singapore's transformation from a British colonial outpost with an uncertain future into the ninth richest country in per capita terms is a story of how Lee's ideas have been put into practice on an island of 600 square kilometres, on which three million people today enjoy a standard of living higher than their former colonial masters. Lee's views are thus significant for two reasons. First they enable us to understand the man himself: what he stands for, how he approaches problems, what he believes in. Second, they help us understand Singapore: what key ideas have been put to the test here, how they have worked or not worked in practice, what have been tried, discarded or modified. The first task of the authors was to survey Lee's entire range of ideas and views over almost a half century of his political life, beginning with the first political speech he made in Britain as a student in 1950. In all, we read more than 2,000 speeches. 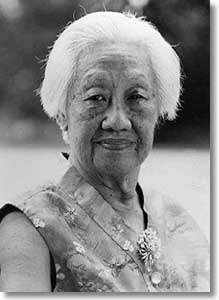 Then came the job of identifying those we believed to be crucial to Singapore, which had made a difference to life here. We narrowed the field to seven key areas: the secret of good government, economic development, politics and democracy, law and order, the importance of culture, the nature of human society, and media. The most interesting part of the assignment was a series of interviews with Lee on these subjects - 13 in all over about 30 hours in 1994 and 1995, the most extensive he has given to anyone so far. In these interviews, he talked about how he came round to those key ideas, the circumstances surrounding their genesis, and whether experience later led him to modify them or strengthened his belief even more. Some of the most revealing interviews were about his early days and the three events that shaped his outlook on life: the Japanese Occupation from 1942 to 1945, the battles with the communists in the 1950s and 1960s, and the trauma of merger with Malaysia in 1963 and separation two years later. Not surprisingly, these were the events which in the authors' view had the greatest impact on modern Singapore. 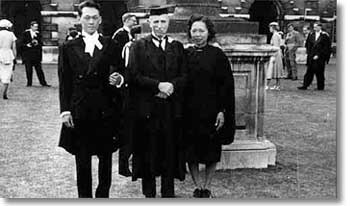 The Japanese Occupation made Lee decide to become a politician, the communist battles turned him into a hardened politician, and separation from Malaysia provided the final drama which led to Singapore's independence, and made Lee govern it the way he has. How Lee went through those tumultuous events, his views about them today and how they affected him: the answers to these questions are essential for anyone who wants to understand the man that Lee is today and the Singapore that he has shaped. 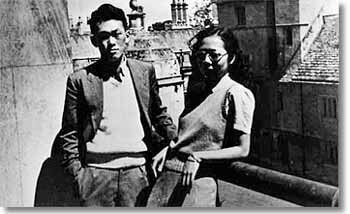 Lee was already courting Kwa Geok Choo before they left for studies in Cambridge, England.